The Curves paper dolls I originally drew while on a ferry traveling from Juneau, Alaska (where I am from) to Prince Rupert, Canada (where I got on the highway.) That was over a year ago. I still enjoy drawing the paper dolls, but I must confess I’m a little low on ideas for them. As a result, I am requesting assistance. Sounds so official. People can either post their ideas in the comments or drop me an email (paperthinpersonas(at)gmail.com). If you want to include photos, please use the email option. There is no reward for this except that I’ll draw it and put your name on it (unless you’d rather I didn’t). The only guidelines are that the Curves paper dolls are always in black and white and they are always in sets of two. First thing that comes to mind, after looking at what you have, is ancient Egyptian. There’s all sorts of historical styles to be exploited too. I’ve always fancied Louie XIV coats on women; it excentuates our curves. 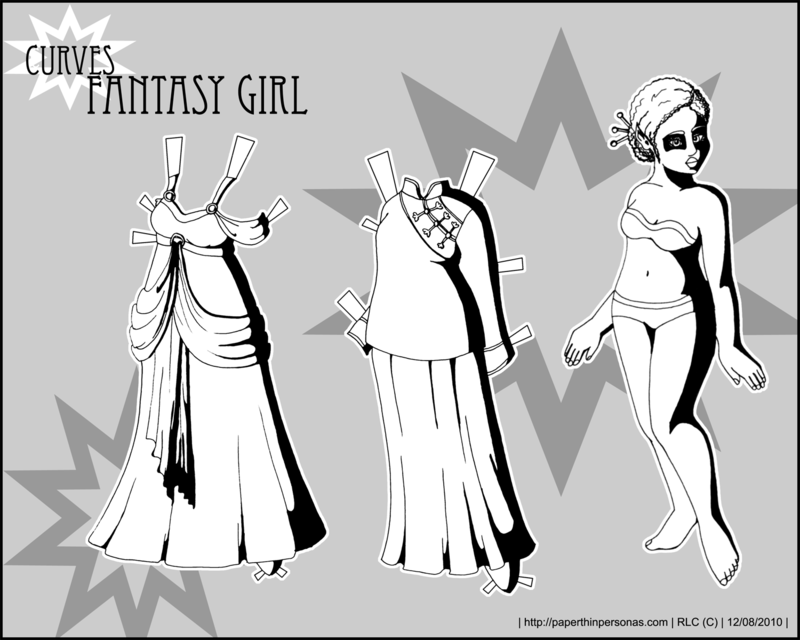 I’d like to see Curves paper dolls as super heros or maybe catgirls or something anime inspired and neat.